Great news again! 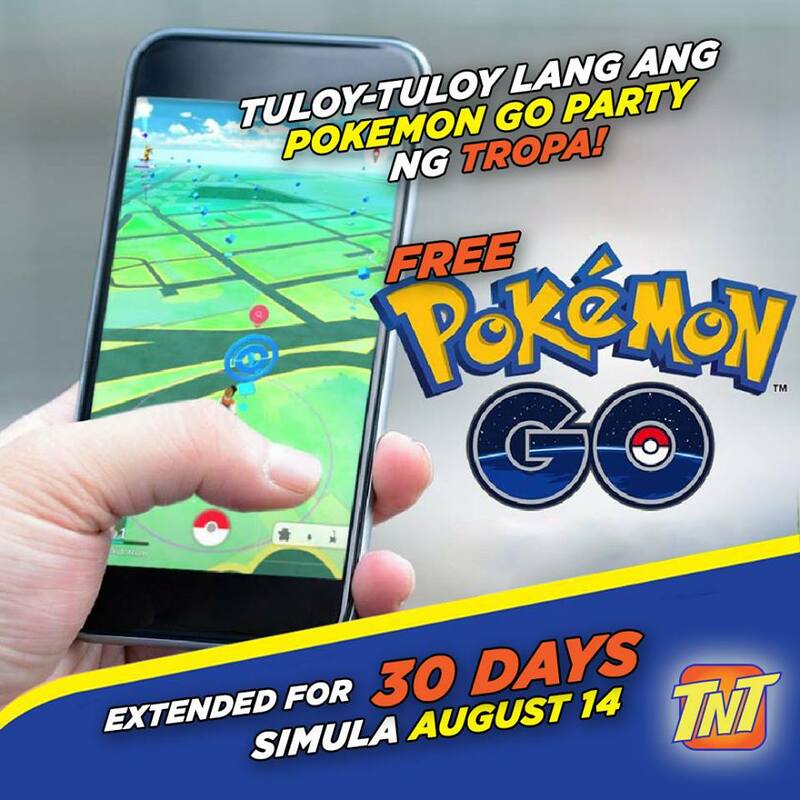 Talk 'N Text (TNT) has also announced that it will extending the FREE Pokemon GO access up to 30 days starting August 14 alongside with Smart. The said promo will start this August 14 and will end at September 15, 2016. Also the said promo has no registration required, no catches and will not require any keyword to register. Make sure that you gonna catch 'em all in the said promo dates. Happy Pokemon GO Philippines! READ MORE: Smart is extending the FREE Pokemon GO access to 30 days!